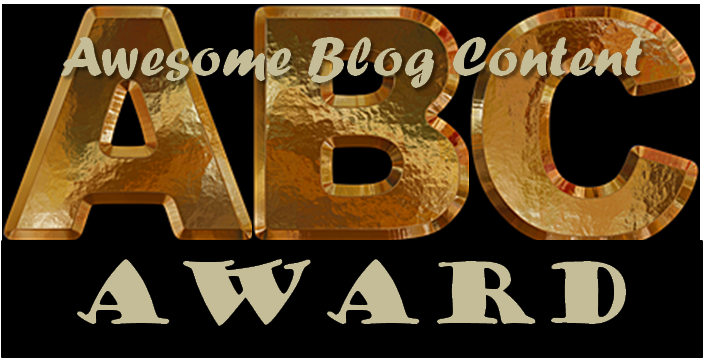 Ursula, the writer and mastermind behind the blog An Upturned Soul, nominated me for an ABC (Awesome Blog Content) Award. So Ursula, thank you so much for the nomination. As for others, please check her writing out! 3. Using the alphabet, describe yourself in a word or a phrase. 4. Nominate 8 deserving bloggers and inform them of the nomination. A – Anthony Bourdain… I wish I was. F – Find the differences and accept them. K – Keep wearing Chuck Taylor sneakers. M – Make sure to smile. Q – Question almost everything. R – Ready and willing, be. U – Underestimate not: the gratification of exercise. V – Vineyard to own one day, or work on one at least. X – Xenophile, very much so. Z – Zen, Mysticism, Mindfulness, and Meditation. Christopher, thank you so much for the nomination. I am honored. It’s a wonderful gift, especially considering my respect for the giver (and the other nominees!). All the best to you. Very interesting use of the alphabetical theme! Superb. Love that you did this with so many quotes. Excellently rendered. John Butler Trio’s “Ocean” will always remind me of a night in Kunming, China where I walked miles around the city (it’s safe like that, mostly) and it had been raining and I was soaked but it was lovely. The blisters I had later weren’t lovely but the music in my ears and the feel of the night certainly was. That’s amazing and cool that you have a story associated with JB3’s “Ocean.” I think I am going to blog it, just because of how amazing and mystic the song is. I will have to check out Kunming via online. Is it rural or city? To add on, it came with surprise how comfortable it felt walking around China, and in Shanghai especially. Sure, there is crime, but crime is everywhere. No threats were made to me. Blisters aren’t so fun, but they reassure and back a story/experience. Thank you! Love your ABCs! Eccellente! I’m pretty much an open book. Keep reading and you can join the rest taking notes, building a healthy amount of ammo, to use against me should a coup rise up against my tyranny within the online writing niche. Congratulations, thank you, and it may take me a day or two to describe myself with the alphabet, Chris! You’re welcome. Take all the time you’d like, sir! There’s no requirement. It’s all goooood. These allow me to give props, almost like “thank you” notes in a sense. Give credit, I boast. Plus, it breaks the redundancy of having to actually write something when I’m not feeling up to it. Oh, that Poe quote is a great one. I’m glad you agree. All the quotes are on my FB page, so I didn’t have to look them up. Hahaha. Saves some time.